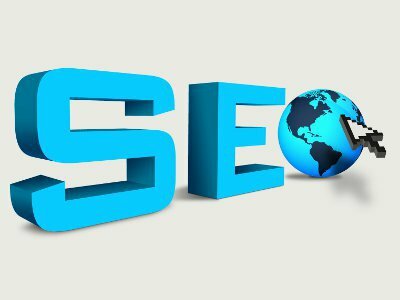 YNOT – Choosing the right keywords is among the most crucial factors in a successful search engine optimization program. An unsatisfactory or incomplete keyword list can create a snowball effect that disrupts search engine visibility and ultimately leads to poor results. The keyword research and selection process is time-consuming and requires patience, but it forms the backbone of any effective search strategy. Google AdWords provides several tools that have proven to provide quick and often thorough looks at not only keywords themselves, but also at how individual pages and entire domains stack up against competitors. Google’s tools can help webmasters generate keyword ideas, search volumes and other competitor data. The Google AdWords Keyword Tool is used primarily to generate keyword suggestions based on Google AdWords programs. Though AdWords programs revolve around paid search, Google states that the keyword suggestions and related search volumes the tool displays illustrate the approximate number of search queries performed on Google’s network as a whole. Therefore, the results returned by the tool are not limited to paid search terms only. The keyword tool is useful for generating keyword ideas and variants based on phrases you provide. The tool also finds keywords related to the content on individual web pages and entire websites. The import and export feature is easy to use, making the data available for external manipulation and evaluation by software like Microsoft’s Excel. For best results, users should be logged into a Google AdWords account in order to use Google AdWords Keyword Tool, as the tool tracks cumulative data based on previous searches. Make sure you understand your website’s target market(s). Know what you want to accomplish. This tool is beneficial to the success of any natural search campaign and is very useful for the extensive keyword research process. After creating a list of 15-20 keywords, you can insert them in the tool one by one. Every time the tool completes the research, you can export the data in .csv format and group all the data in a unique spreadsheet for further analysis. For example, about two seconds after inserting the keyword “dating,” you should receive a list of 150-200 related keywords along with the search volume generated by each in one month. Navigate to the tool’s online home. In the text box at the top of the page, enter one word or phrase per line. You may enter the URL of a website (either your own or a competitor’s) you’d like to check for keywords. We usually submit singular and plural versions of a keyword. Limit each query to no more than two keywords (singular and plural versions of each, if a plural version exists) or phrases. Below the text box, expand the “Advanced options” section and select the language in which you wish to work. Choose which type of statistics to view: desktop and laptop searches or searches performed on mobile devices. In addition, decide whether you wish the tool to present only results above or below a threshold for ad share, global, local, competition, search share or estimated average cost-per-click. Click “Columns” in the menu bar above the space where the search terms will be displayed and check “All Columns” in the pop-up menu. In the left pane, apply filters to include or exclude specific terms. Once you’ve received the list of keywords (at the bottom of the page), you can expand or contract the list by selecting categories from the menu in the left pane. You also can choose to have the tool perform “broad,” “exact” or “phrase” matches. Download the list of keywords and their statistics by clicking the “Download” button above the list. Deciding how any or all of the keywords presented by the tool may fit into your SEO campaign is no easy task. There are a number of factors to consider. The “Competition” bar indicates the relative popularity of each keyword among websites indexed by Google. The further the bar slides to the right, the more competitive the keyword. It’s easier to get web pages and site to rank higher in search results for keywords that are less competitive. The volumes of global and local monthly searches will tell you how often each keyword is requested on Google’s network. It is pointless to focus SEO efforts on keywords that do not generate significant search volume. The “Local Search Trends” graph indicates whether the term is growing or declining in popularity. In general, keywords composed of more than one word are easier to rank for, so pay attention to the statistics for any phrases the tool returns. How many keywords should you focus upon? There is no definitive answer to that question. However, as a general guideline, a small website might aim to optimize for 50 keywords site-wide, using no more than three per page. Large websites often optimize for 200 or more keywords. This column was contributed to YNOT by the SEO staff at RIVCash.com. How Can I Tell Whether a Translator Did a Good Job?